What would happen if your home was completely destroyed by fire or tornado? Would you be able to replace it? When it comes to insuring your home, it doesn't really matter how much it is worth, but rather it's important to determine how much it will cost to replace the dwelling. Reconstruction values may be drastically different from the market value, especially in today's housing market. It's important to have your agent run a replacement cost estimator of your home. You can also run your own replacement cost estimators on sites like AccuCoverage. Enter the details about your home carefully, even if it takes some extra time to dig out the paperwork. 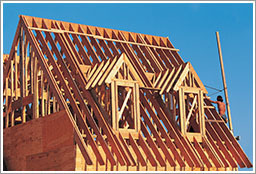 Accurate details will provide a more accurate replacement cost on your home. Then, if a catastrophic loss occurs, you can be sure you have the right coverage to replace your home. According to the executive director of United Policyholders, Amy Bach, predicting the replacement cost requires more than making a ballpark guess. "Computers don't build houses," Bach says, "Contractors do, but you've got to start somewhere." Bach went on to say that more than 67% of homeowner's are underinsured. How can homeowners be under-insured on their home replacement costs? For example, if you have a dwelling with extended replacement cost on a home insured for $200,000, the most the insurance policy will pay out will be $250,000 if the home is a total loss. The extra coverage provides a safeguard in case the home isn't insured for enough - but it still may not be enough! The best way to make sure you are fully insured to replacement value, is insuring your home with guaranteed replacement cost. Many of our carriers offer guaranteed replacement cost which pays the full cost of replacing or repairing a damaged or destroyed home, even if it is above the policy limit.